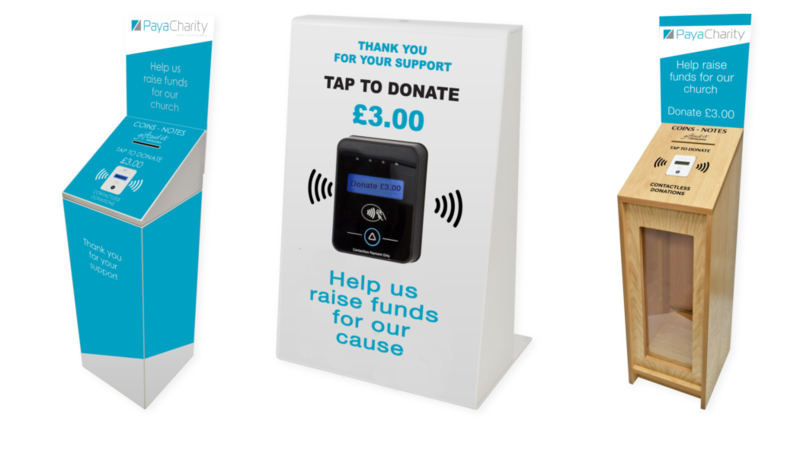 As a charity using MyDonate, you’ll get the options from Payacharity to rent a range of contactless donation boxes, including the BT Contactless Donation Box (pictured) soon to be released. All devices offer flexible configuration for donation amounts. Payacharity will also arrange a merchant account, gateway processing, comprehensive MI on the transactions processed, direct settlement of donations into your charity bank account and provide centralised ongoing support. Payacharity also have a range of wall, counter, standing and window units for order to support permanent donation displays. To take advantage of this special pricing, please apply for your card processing account online here.